The missionaries Dr. Marcus Whitman and his wife along with 15 others are killed by Cayuse and Umatilla Indians. this leads to the Cayuse War. 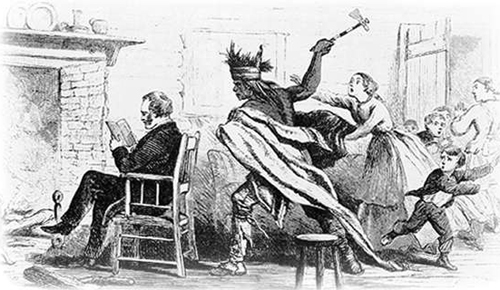 On November 29, 1847, a small group of Cayuse Indians attack the Whitman Mission near Walla Walla in what will become known as the Whitman Massacre. 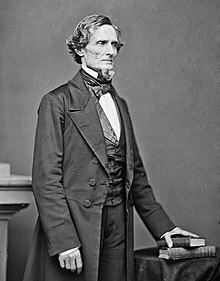 Dr. Marcus Whitman (1802-1847), his wife Narcissa Prentiss Whitman (1808-1847), nine other men, and two teenage boys are killed during several days of bloodshed, most of them on the first day. Another man escapes to Fort Walla Walla but is believed to have drowned shortly thereafter; he is counted as a 14th victim. About 50 survivors are held hostage for a month and then ransomed by the Hudson’s Bay Company. The attack, a pivotal event in Northwest history, will lead to a war of retaliation against the Cayuse and the extension of federal control over the present-day states of Washington, Oregon, Idaho, and parts of Montana and Wyoming. The incident remains controversial to this day: the Whitmans are regarded by some as pioneer heroes; others see them as white settlers who attempted to impose their religion on the Native Americans and otherwise unjustly intrude, even allegedly poisoning the natives. The Treaty of Cahuenga puts an end to the the Mexican–American War in California. The missionaries Dr. Marcus Whitman and his wife Narcissa and 15 others are killed by Cayuse and Umatilla Indians, leading to the Cayuse War. The Treaty of Cahuenga puts an end to the Mexican–American War in California.